2.) Shake well before use. Protect work surface. 4>) Carefully remove excess drips or runs and allow to dry naturally. NOTE: Light coloured fabric and/or leather may darker after treatment. Test on a hidden area first. 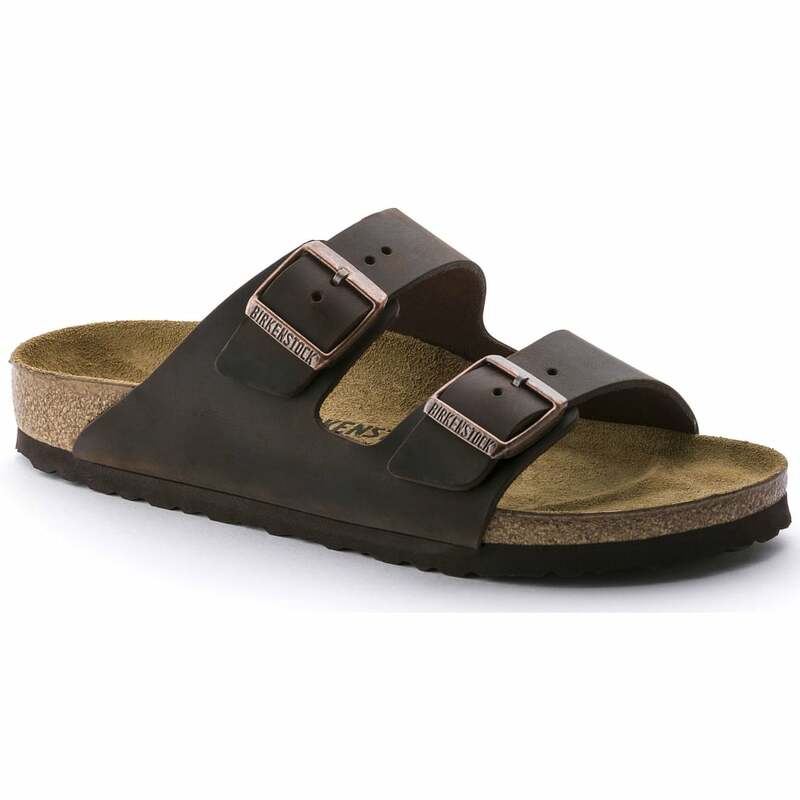 These Birkenstock Arizona Habana Oiled Leather would make a sophisticated addition to your footwear collection this season. The oiled rich red upper exudes so much quality - these will add a touch of elegance to any outfit that you wear them with. The chunky rustic buckles add so much style whilst also allowing for a customized fit, whilst the white sole provides the finishing touches. Wear these with a laid-back dress in the day time for a smart look. Inside, your feet are treated to a gorgeously soft leather insole which feels great against your bare feet, whilst the leather linings cushion your feet all day long. The textured rubber sole takes pressure from under the feet and provides added grip, making these perfect for wearing on the beach.